The CAIR event also appears closed to the press. Free Beacon attempts to contact the organizer and obtain access were unsuccessful. 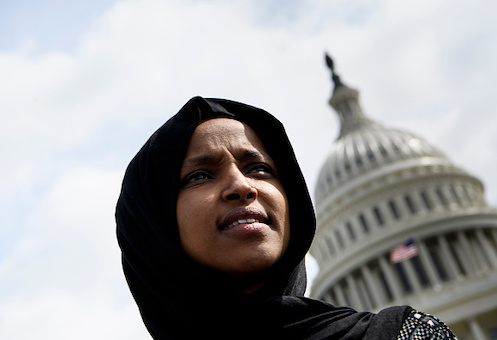 Requests for comment on the nature of the speeches sent to Omar's congressional office also were not returned. CAIR has been cited by the Anti-Defamation League, or ADL, for using its network of supporters to promote an "anti-Israel agenda." 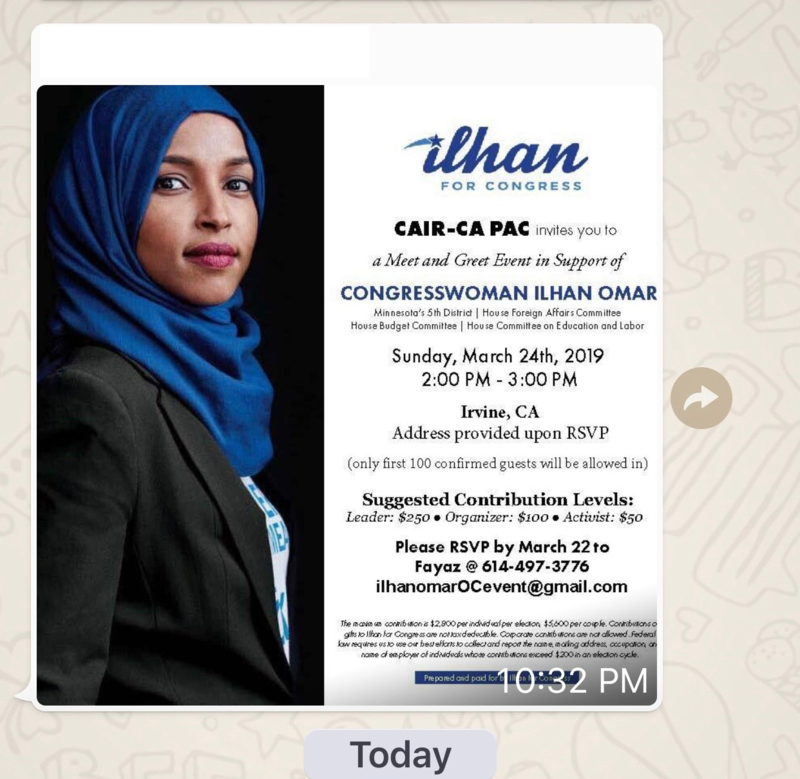 "CAIR’s anti-Israel agenda dates back to its founding by leaders of the Islamic Association for Palestine (IAP), a Hamas affiliated anti-Semitic propaganda organization," according to the ADL. "While CAIR has denounced specific acts of terrorism in the U.S. and abroad, for many years it refused to unequivocally condemn Palestinian terror organizations and Hezbollah by name, which the U.S. and international community have condemned and isolated." This entry was posted in Issues and tagged Ilhan Omar. Bookmark the permalink.